It’s Monday morning and things are off to their typical start. I have a bride due here in 20 minutes, a preschool drop in 50 minutes, we are out of dishwasher soap, laundry detergent, trash bags, and milk. 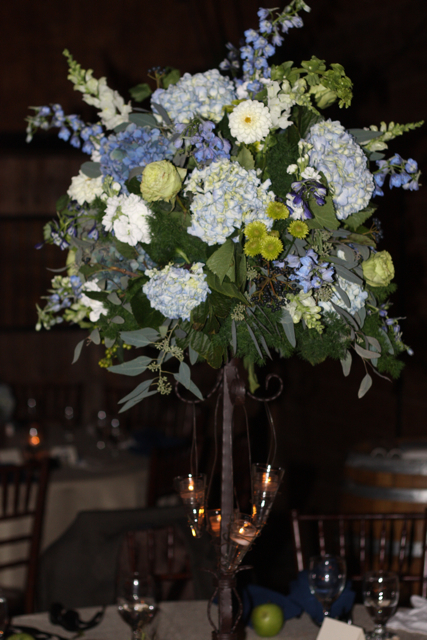 We also have a rather large order of flowers to fill. We will be headed to DC tomorrow with 48 centerpieces and at this moment not a one has been created. So in other words it’s just another crazy day here at the Chapple-home-flower shop. 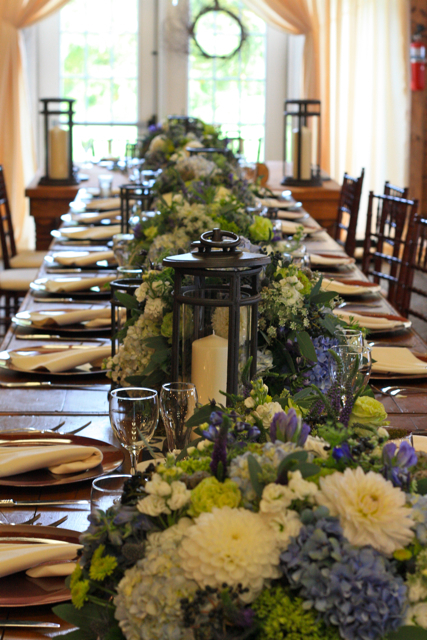 We did five weddings last weekend and each one of them was truly beautiful. Here are the only images I was able to capture from last weekend. 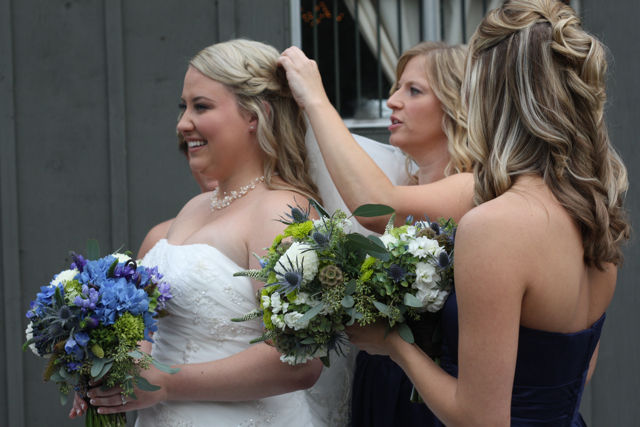 I love these pictures of the maids helping Sami with her veil. 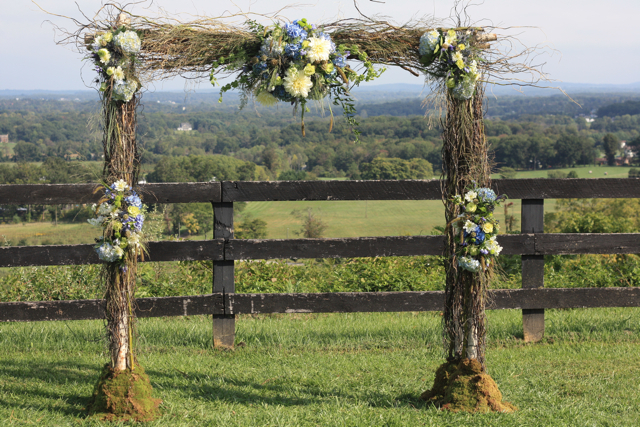 The couple married under this fabulous floral arch. This structure has become highly sought after and it’s a major ordeal to build, but you gotta admit it’s amazing. 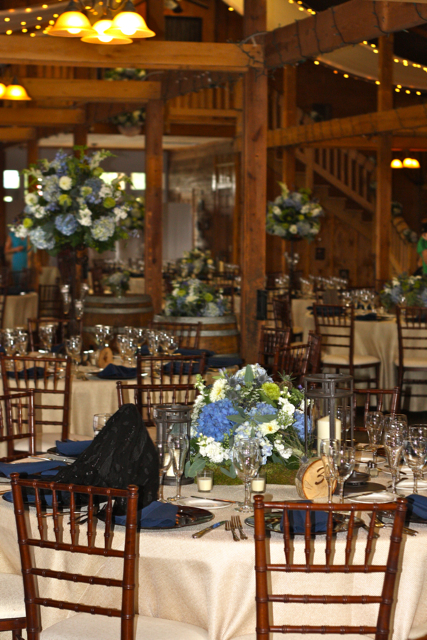 The couple married at the Stables At FoggyBottom, also known as the Bluemont Vineyard. 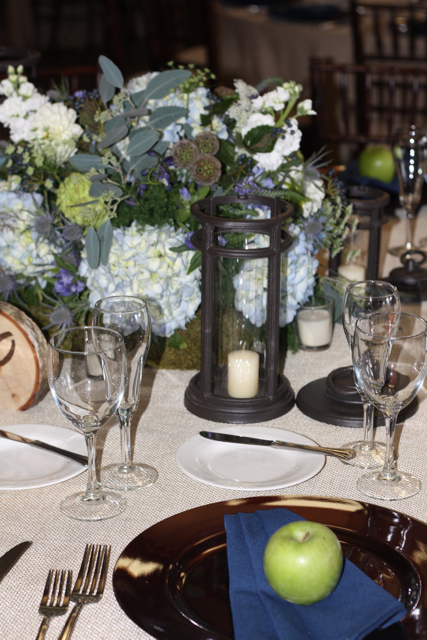 Catering was done by Celebrations Catering. 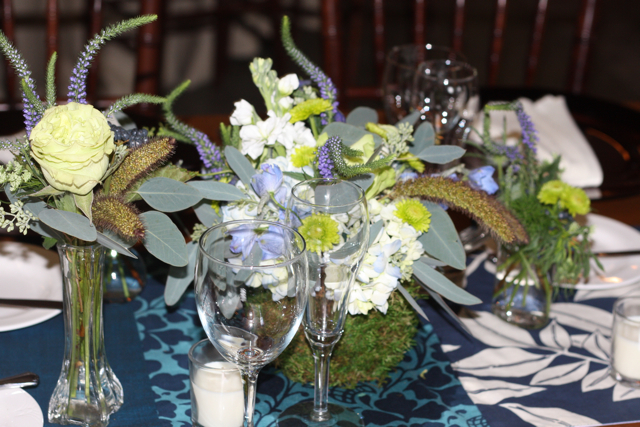 We at Holly Heider Chapple Flowers handled all of the decor aspects of this event. 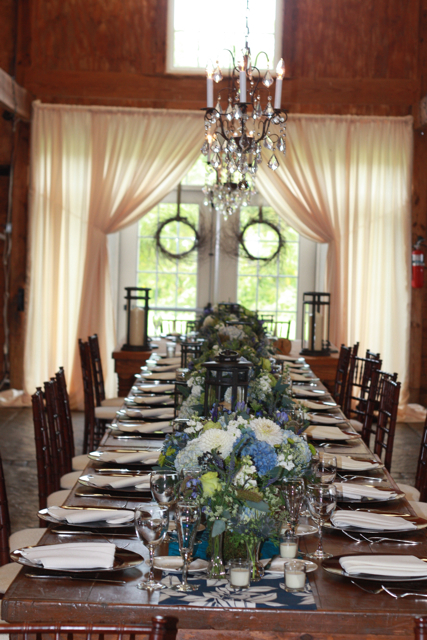 My fabulous husband Evan hung over 200 yards of fabric in the rafters of the barn and he even sewed the curtains that framed the head table as well as install the chandeliers. 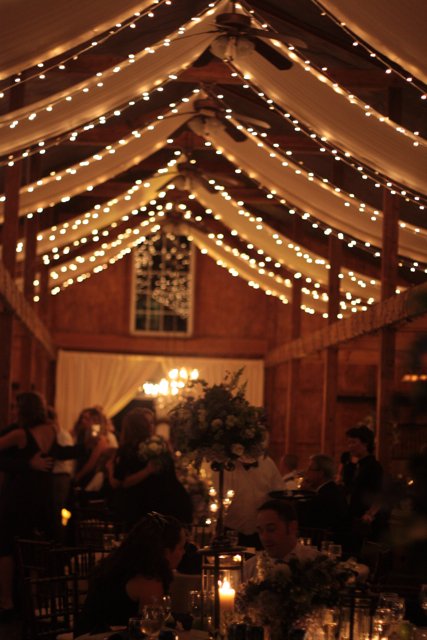 White twinkle lights were also hung all through the rafters of the barn and Evan also provided up-lighting along the walls. Sami’s reactions throughout the day were so gratifying. It was obviously clear she that she was thrilled with our work and our designs. 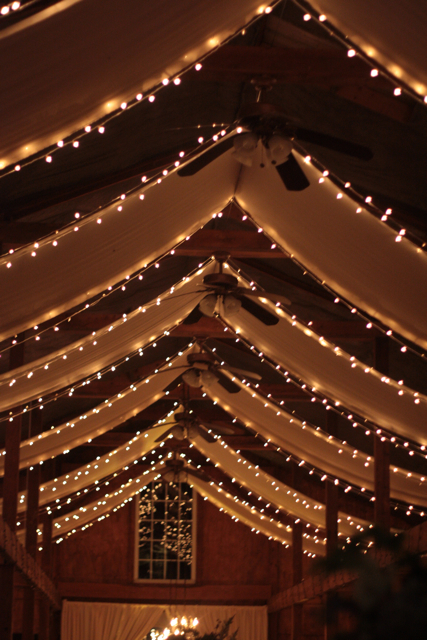 The barn was truly magical at night and I am so proud of the work we did for this event. My only regret is that my pictures are very lacking. There is another full section of this barn and the panels of fabric and the lights swoop down and cover that ceiling section as well. I wish I had pictures to show you how magnificent this was. I can’t wait to see the professional images from this event. 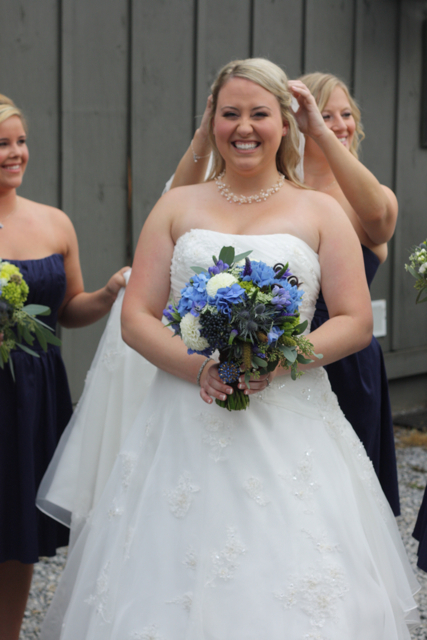 I am so proud of this wedding and the look we created for this bride and her mother. 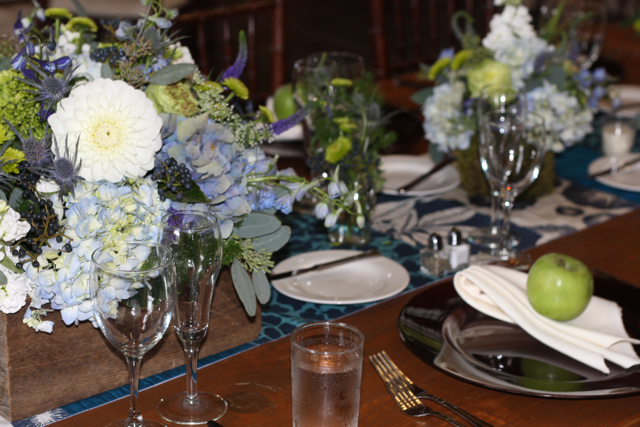 Evans help with our events is clearly making a huge impact on the overall look and feel of our designs. This was clearly a success!! 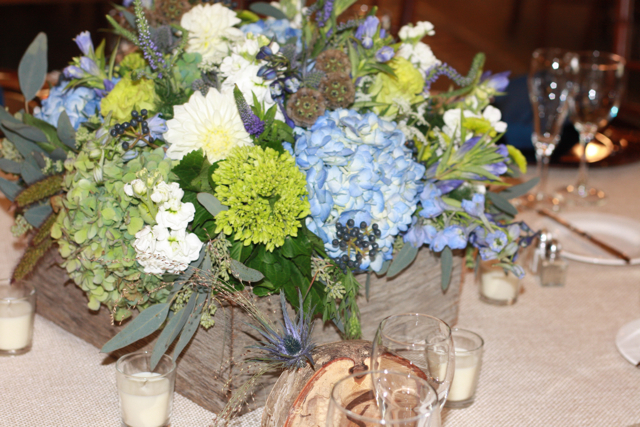 The pops of blue are amazing and I am in love with those twinkle lights! I LOVE your blog. I start every morning and end every evening checking to see what you’ve created or have featured each day. 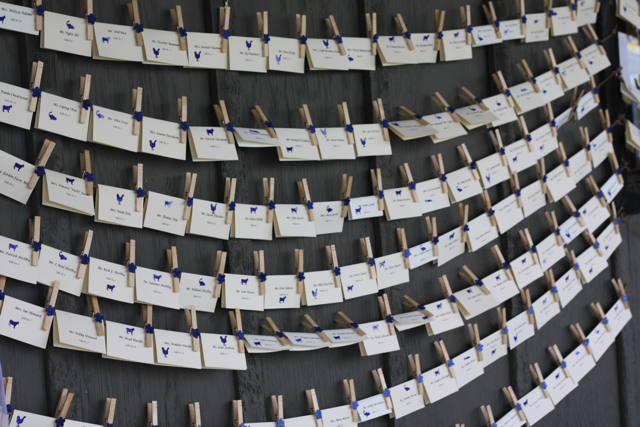 Monday mornings are especially fun, seeing your weekend wedding designs. Adding Evan officially to your already fabulous design team was brilliant! This event was amazing. It was my first time seeing Holly’s creations in person, and I must say she did not disappoint. Beautiful. 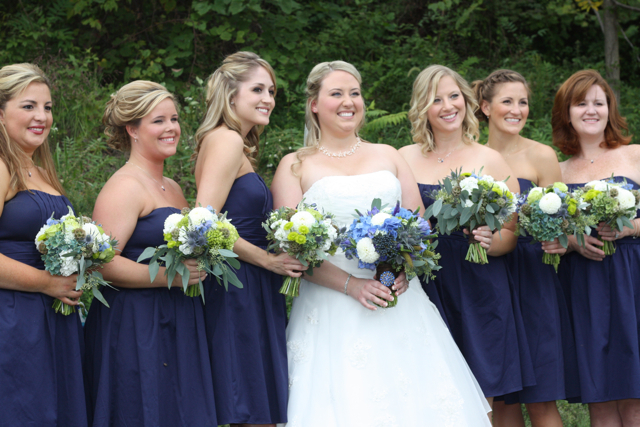 Sami’s wedding was fabulous! The barn made me gasp when I took a peek before anyone else came in. You all do really creative work and I couldn’t have been more impressed. Marty, I could only imagine how happy you are with one of Sami’s important milestone in life. I’m sure more are coming. Best wishes to her. You did an amazing job. All of the flowers were spectacular. 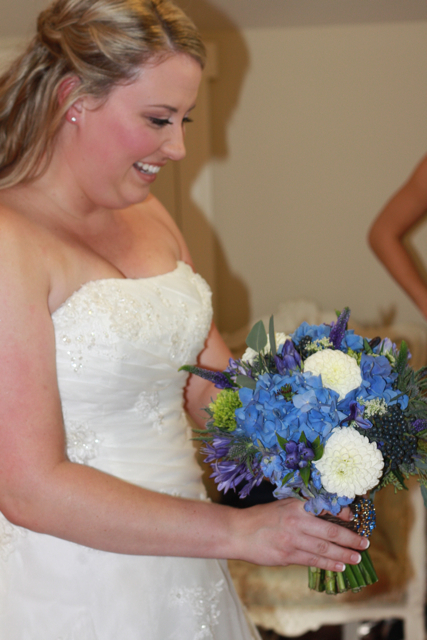 I found myselg going around the room, just capturing photo’s of the flowers! I would highly recommend you!